A simple plugin’s directory from which the below source is pulled. And I know: This seems like something that’s easy (it is), but even in a recent project, I’m reminded how it’s not something that even some of the most useful plugins do. I can only chalk this up to lack of awareness or perhaps lack of education. If you’re not setting your work up to prevent direct plugin access to your plugin, you’re leaving a significant security gap in place, and it’s something that can be easily corrected. In short, if they can gain access to the scripts, then it’s possible they can execute certain parts of the code that are either outside of the WordPress API or that don’t necessarily do a job of checking if a user has permission to execute a piece of code. There are other precautions to make, as well. You can set permissions to prevent people from viewing the contents of any given directory at the server level. 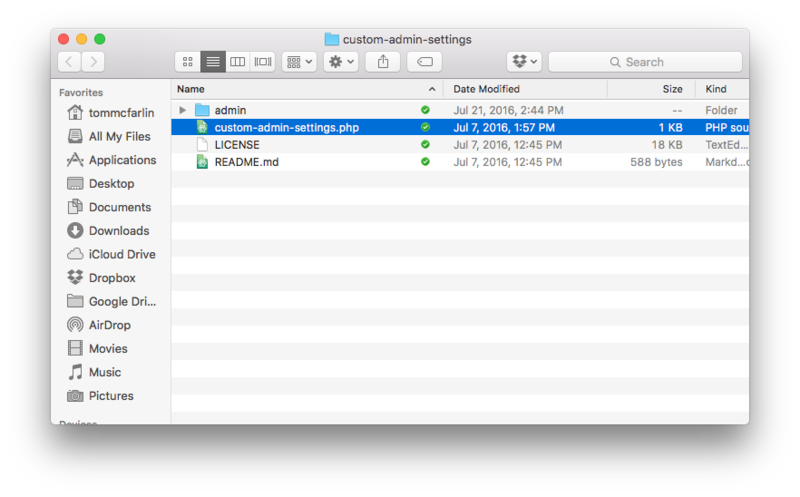 You can place an index.php file in the root of every directory (that will result in a white screen if they attempt to browse a directory. You can make sure that the rest of your functions properly check for nonce values, if a user has permission to execute code, or if the user is even logged into WordPress before executing code. This is not meant to be a comprehensive post. Far from it. Instead, it’s meant to be an easy way to prevent people from executing a plugin by running the primary point of entry for many plugins that are running alongside WordPress. Feel free to share your tips in the comments as this is something that I think is useful for any WordPress developer. Does this truly add security though? Yes, having a constant check would ensure it doesn’t execute; simultaneously cluttering up all php files with a constant check is too me more annoying, better to ensure all your inputs are sanitized and outputs are escaped. Hacker has gained access to server and can execute arbitrary php/include your file and utilize it. At this point it’s too late to worry about your code, they could easily define the constant you’re checking against, but more likely have no need and can do much worse without your code. Would love to hear your thoughts though, curious if I’m missing a situation or situations. Yes and no. I certainly not say that this is the most secure thing we can do (nor is adding index.php, but there are a lot of plugins that don’t offer anything. So at least add something that will prevent direct access for many people. Great! This is what I was hoping the post result in happening :). This would work against files that are not the root plugin file, right? I mean, technically including this check in each file is important, but if you’re able to hijack a, say, hook then you’re right. There should always be additional checks (nonces, permissions, roles, capabilities, autosaves, ajax saves, etc.). better to ensure all your inputs are sanitized and outputs are escaped. Admittedly, there’s a lot of steps that can happen here though, right? I mean, this pre-supposes a number of poor programming practices are in place that give users far more reign over inputs, etc. than they should ever have. Right — but, correct me if I’m wrong, this has to be done prior to WordPress even loading because the constant already being defined will stop that from happening. I think you’ve covered it and I’ve tried to add a few more things. Perhaps a follow-up post for this would be worth my time, too. Fantastic comment, Aaron. Thank you. Do you do this in files that just define a class? The only reason I can think of would be to suppress potential error messages that might supply an attacker with information about the system. Usually, I actually do this in files that are procedural. Files that have classes, I normally try to protect through number of other strategies the least of which aren’t also just building in good security checks. I’m one of the guilty ones, partly because ideally I want everything except the bootstrap to be a class. I need to be more careful when I make exceptions, though.